How much do you rely on your colleagues at work for dysphagia advice? Do you consider listening to their advice if they are less experienced than you? It’s time to break down the walls of “more experienced” vs. “less experienced” and start listening to each other. None of us are experts in any 1 area so we might as well put our brains together for the sake of our profession and our patients! In this episode, Taylor Evans dives in to all of the controversial topics that some SLPs do not believe to be within our scope of practice. He provides some great advice on how to come together to have these open discussions and learn from each other instead of just passive aggressively emailing a research paper. 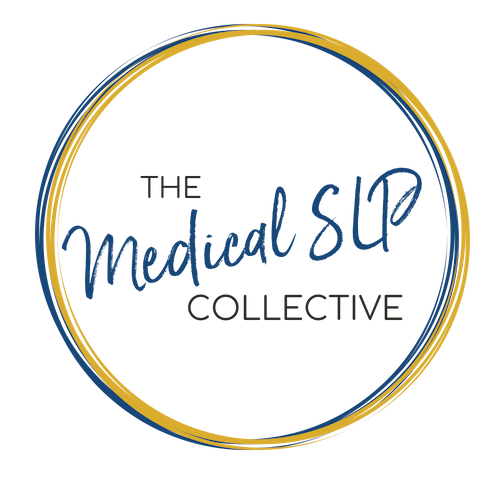 To learn more about the Medical SLP Collective, an exclusive community for Medical SLPs with new peer-reviewed resources, handouts, and videos distributed weekly, monthly ASHA CEU webinars, and a private forum on Facebook, or on the website to get answers to all of your burning clinical questions, check out MedSLPCollective.com. Download Ep. 039 Show Notes! If you like our work, support us on Patreon for as little as a dollar a month!